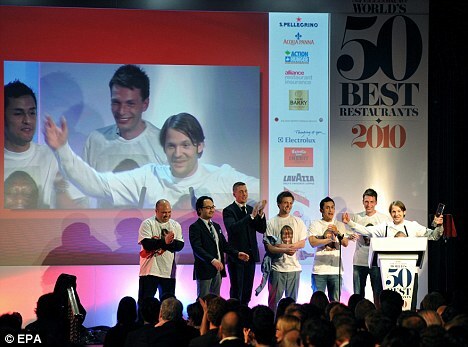 After four years, El Bulli has lost the top spot it held in the San Pellegrino world’s 50 best restaurants list to Noma, Rene Redzepi’s renowned Nordic restaurant in Copenhagen. Seasonal and regional, this local restaurant reverses the trend for globalised cuisine, and concentrates on local Nordic influences and flavours. Redzepi is a gifted cook with an extraordinary palate who does amazing things with wild herbs and flowers, bitter green leaves and the freshest local seafood. The decision shows a move away from modern cuisine served in the likes of El Bulli and the Fat Duck, although a loss of only one place for each is hardly a blow. The UK has just three entries in the Top 50, with Claude Bosi’s Hibiscus making its first appearance, alongside Fergus Henderson’s St John. Perhaps a couple more should have appeared, but 3 out of 50 for the UK is probably reasonable. The country with the most entries was the USA, followed by Spain, France and Italy respectively. Denmark had only one entry, but it was the coveted top spot. The full top 100 list included 7 UK restaurants: Marcus Wareing at 58, Zuma at 66, The River Cafe at 82, Le Gavroche at 92 and Alain Ducasse at the Dorchester at 95.